Debra Katz, who represents Christine Blasey Ford, criticized the quick deadlines set by Sen. Chuck Grassley (R-Iowa), the committee chairman, in an email asking for more time for Ford to weigh the terms. WASHINGTON — The attorneys for the California professor accusing Supreme Court nominee Brett Kavanaugh of sexual misconduct late Friday requested another day to consider the terms for a public hearing on her claims set by the Republican chairman to the Senate Judiciary Committee. The plea for more time, coming in the 11th hour, added another twist to the post-confirmation hearing for Kavanaugh, one that Senate Republicans had not addressed. The deal broke down in part over whether the hearing would be held on Thursday, as requested by Christine Blasey Ford, or Wednesday, as set by the Republicans. Debra Katz, who represents Ford, had criticized the quick deadlines set by Sen. Chuck Grassley (R-Iowa), the committee chairman, in an email asking for more time for Ford to weigh the terms. “Its sole purpose is to bully Dr. Ford and deprive her of the ability to make a considered decision that has life-altering implications for her and her family,” Katz wrote in the email. Earlier Friday, Grassley threatened to scrap a public hearing on the California professor’s sexual misconduct allegations against Kavanaugh if she didn’t agree to terms for her testimony by late Friday evening. Grassley had said his panel would vote Monday on sending Kavanaugh’s nomination to the full Senate — without a hearing — if his aides and attorneys for Ford did not reach a final deal by 10 p.m. Friday. Grassley’s tougher stance came after President Donald Trump took a more impatient and aggressive tact toward Ford, questioning whether the sexual assault actually happened in a tweet because Ford or her parents would have filed charges with local authorities if there had been a serious assault. “I ask that she bring those filings forward so that we can learn date, time, and place!” he said, challenging Ford, 51, to prove that Kavanaugh, 53, committed sexual assault against her when she was 15 and he was 17 at a house party in suburban Washington. 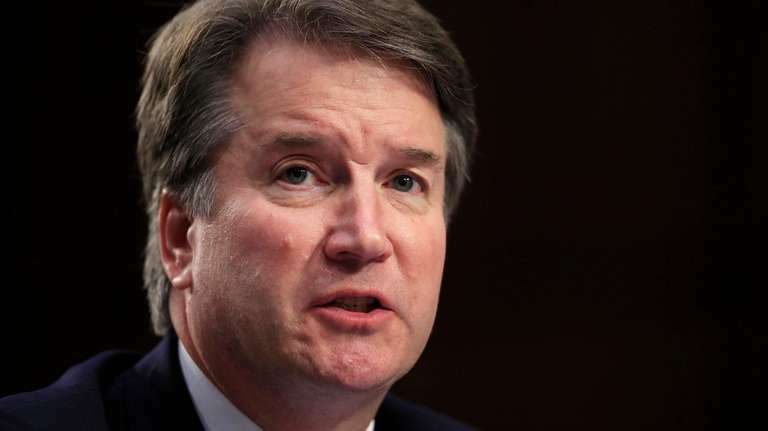 Kavanaugh, a federal appellate judge in Washington D.C., has denied the claims. And Ford said she told no one, including her parents, until a 2012 therapy session. On Friday, Ford’s lawyers Katz and Lisa Banks weighed a counteroffer from Grassley’s aides that proposed a Wednesday hearing with Ford going first in questioning that would be conducted by outside counsel, not the senators themselves, among other logistical details. Ford’s attorneys had said she preferred to have Kavanaugh testifying first to questions posed by senators on the committee in a Thursday hearing, according to several news reports. Trump also attacked Sen. Dianne Feinstein (D-Calif.) for not revealing Ford’s letter outlining the charges that she received in July, which Feinstein said she did because she was protecting Ford’s request for confidentiality and privacy. Senate Majority Leader Mitch McConnell (R-Ky.) on Friday assured the conservative Values Voter Summit in Washington, D.C., that is exactly what will happen. “You’ve watched the fight, you’ve watched the tactics, but here’s what I want to tell you: in the very near future, Judge Kavanaugh will be on the United States Supreme Court,” McConnell said to applause. “So, my friends, keep the faith, don’t get rattled by all of this. We’re going to plow right through it and do our job,” he said. Grassley has refused to ask the FBI to investigate Ford’s claims, saying they don’t do “credibility checks,” despite repeated requests by Ford’s lawyers and Senate Democrats. “The radical left lawyers want the FBI to get involved NOW. Why didn’t someone call the FBI 36 years ago?” he tweeted. Sen. Kirsten Gillibrand (D-N.Y.) volleyed an attack back at Trump. In an interview with The Washington Post last Sunday, Ford said she told no one of the incident in any detail until 2012, when she was in therapy with her husband. Ford provided the notes of her therapist about the conversation. The notes don’t mention Kavanaugh’s name but say Ford reported that she was attacked by students “from an elitist boys’’ school” who went on to become “highly respected and high-ranking members of society in Washington,” the Post reported. In an interview, Ford’s husband, Russell Ford, said that in the 2012 sessions, she recounted being trapped in a room with two drunken boys, one of whom pinned her to a bed, molested her and prevented her from screaming, the story said.